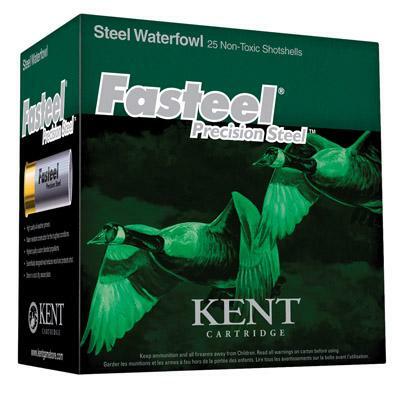 Since its introduction years ago, Kent's Fasteel Precision Steel shotshells have proven themselves time and again and have become the choice for duck and goose hunters across North America. Few other shotshells have such a strong and dedicated following as Fasteel. Proven quality and performance at a value that makes Fasteel an easy choice for your next hunt. Fasteel comes in 2.75" to 3.5" inch shells.